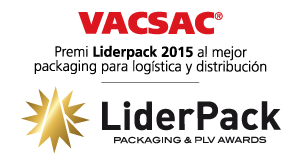 Our VACSAC received the 2015 LIDERPACK Award for the best packaging product for logistics and distribution. We at CLIMESA are very pleased and would like to share it with our customers and employees. It is clearly just another incentive to continue developing innovative high-quality products to meet the needs of our customers.